Pied Pumkin is now playing for audiences of three generations! On May 1, 2008 we released PUMKIDS - our brand new CD featuring 12tuneful talesfor all ages. We performed the PUMKIDS family show at Canadian children's festivals and comminty halls. 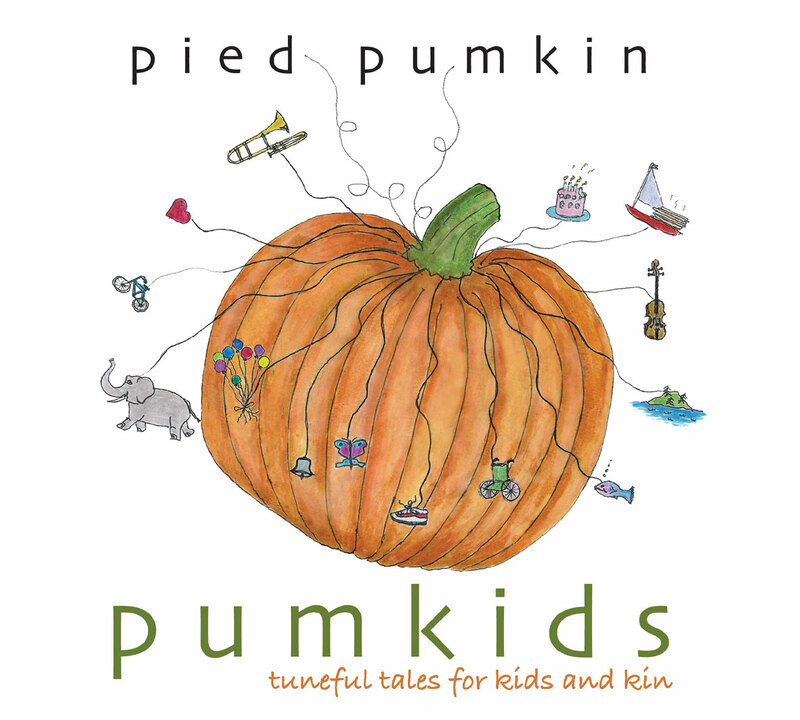 PUMKIDScombines songs from the CD and Rick Scott's award winning children's repertoireperformed Pumkin style. PUMKIDS won Best Chidlren's Album at the 2007 Canadian Folk Music Awards, Outstanding Children's Release in the Western Canadian Music Awards and Parents' Choice and North American Parenting Publications (NAPPA) Honors in the US. Pied Pumkin also performs "more adult oriented but allages welcome," evening concerts at folk clubs and community halls. Families please feel welcome to come to any of our shows except on the rare occasion when liquor licensing prohibits it. "a 2007 Parents' Choice Silver Honor award winner." 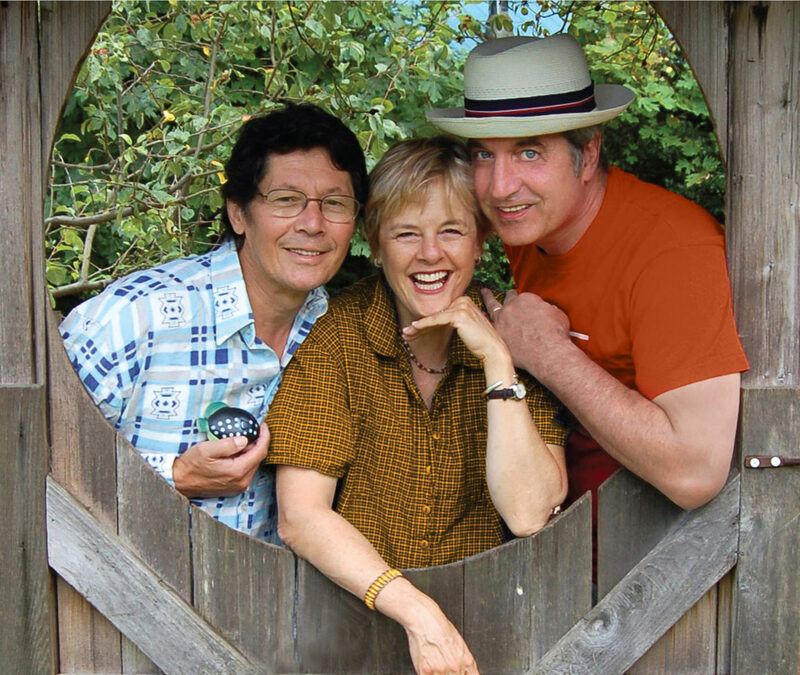 Rick Scott, Joe Mock, and Shari Ulrich are the veteran Canadian folk trio Pied Pumkin. This album of 13 folk, novelty, and folk-rock songs features beautiful harmonies and bouncy, toe-tapping melodies, including two sung in French. 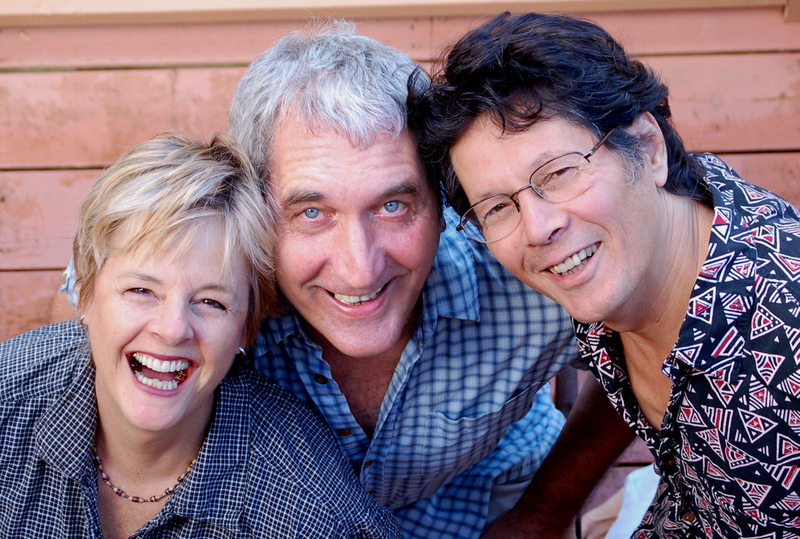 The trio plays masterfully on a range of instruments, and their vocals blend beautifully. "Annabelle's Fiddle" tells about a young girl who practiced a great deal to learn to play the fiddle.Fred Penner joins the group on "Upside of Down/Cote de Down," a song written for the 2006 World Congress on Down Syndrome. "Bowen Island" is a beautiful tune reminiscent of a Gordon Lightfoot song. "Sebastaphone" cooks chapattis (flat unleavened bread) for every-one. Among the other songs are "Papa Do Wah Diddy,"" "We're Having a Party," "Elephant Ride," "Little Tai," "When the Bell Rings" and others. This exuberant album deserves a place in every library. ____________ "Pumkids: Tuneful Tales for Kids & Kin"won a 2007 National Parenting Publications Awards (NAPPA) Honors Award. Quote: "judged by independent experts to be innovative, age-appropriate, and of exceptional and lasting educational and entertainment value. _____________"Pied Pumkin Pumkids has won in the catagory of Outstanding Children's Reconding for the 2007 Western Canada Music awards.